We learned of the tragic death of Erin, my 22-year-old beautiful niece. Her death was suicide. Her service was held at the local theater, a fitting place for a recently graduated theater major, a young woman committed to change and advocacy for the poor, ill and underprivileged. We were permitted to take some of her personal belongings and I found her large knitting basket, still with projects half completed. I brought her basket home, found her knitting needles and learned how to knit. It brought me comfort. I eventually found my new knitting skills making horse bonnets. To this day they remain a labor of love and hopefully of healing grief. 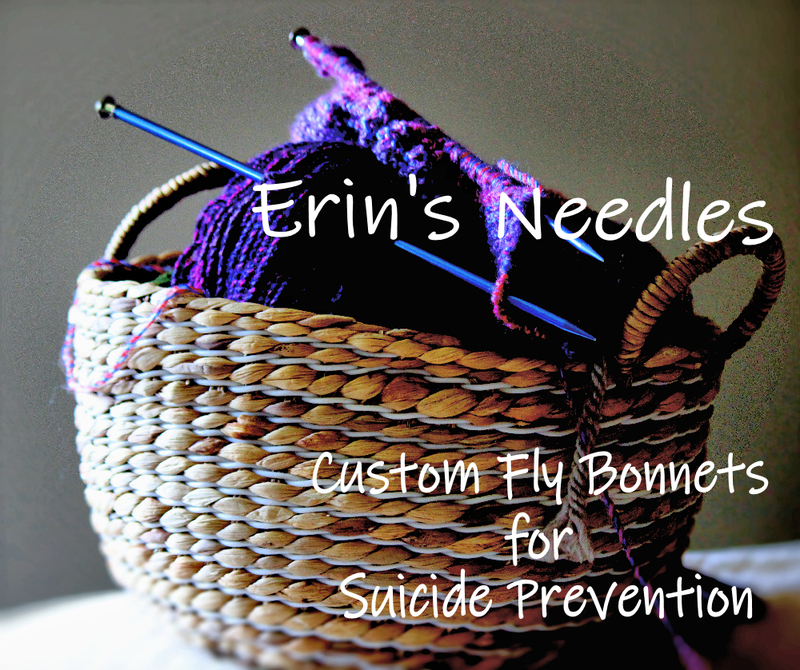 These bonnets are made lovingly in Erin's honor and a portion of all proceeds is donated to suicide prevention resources. If you or someone you know suffers from depression or has suicidal thinking or tendencies, PLEASE continue to seek the professional help needed to treat this illness. It is treatable. There is hope. 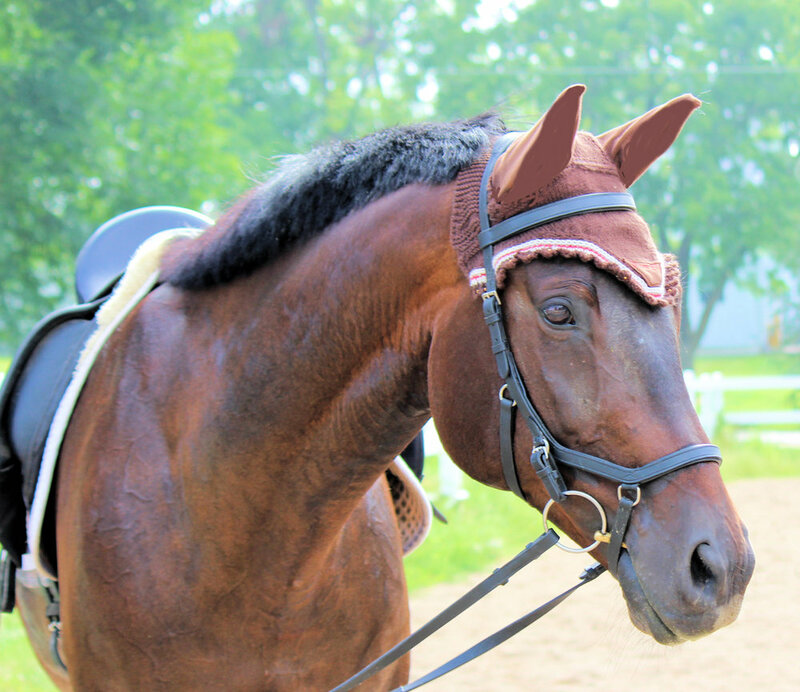 The fly bonnets are all custom, hand-made, individually knitted pieces to protect your horse from flies and noise. They can be made in your colors and other features added as desired, such as "bling" and monogramming. Each bonnet is a tight knit in a stockinette stitch. 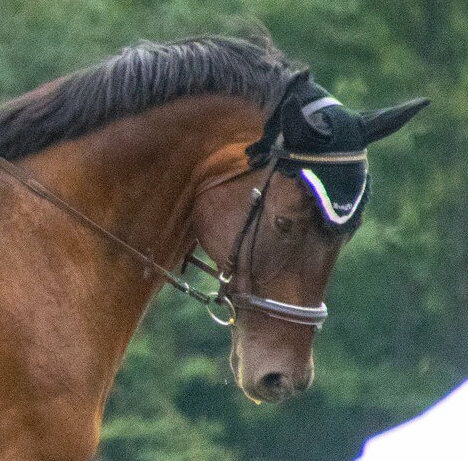 The ears are made of light stretch material to conform comfortably to your horses ears. They can be cleaned by gentle hand washing in dish soap and laying flat to dry. The sizing is designed for horses 16 hands but they can be fitted to your horse with a few easy measurements.